One of the greatest advantages of android smartphones and tablets over iOS devices i.e. iPhone, iPad and iPod is the freedom of customization. You can practically tweak your Android phone to the smallest detail, giving that personalized feeling in your gadget. 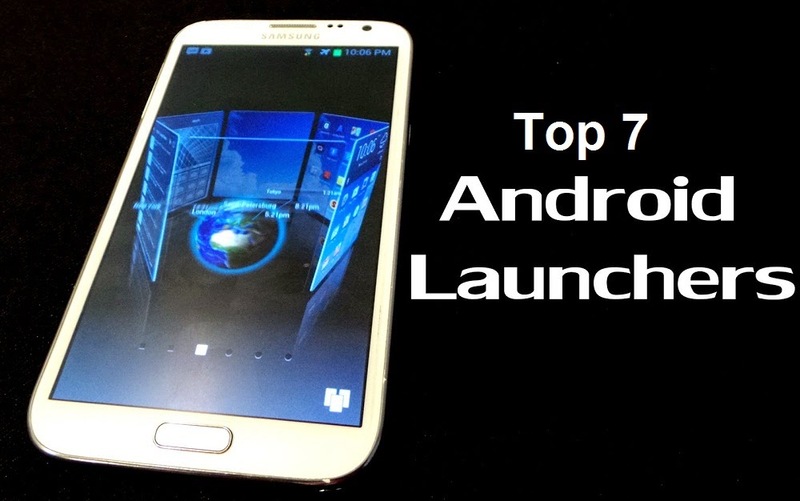 Today, we are going to share the Review of Top Seven Best Launchers for Android Smartphones and Tablets for customization and personalization. If you're still having trouble finding and downloading the best launcher Android App for your Android device then this is the list for you. Here are seven of the best app launchers in the market right now. Find them and determine which suits your style best. Are you disappointed because you'll never get your hands on that super cool Ice Cream Sandwich theme because your smartphone is left with the old (but still reliable) Gingerbread Firmware? Then Launcher Pro is the perfect theme for you! Do you want a launcher that prioritizes style above all? Look around no more because the awesome Buzz Launcher is here! Aside from the standard customization options, you can also make use of the gazillion user-created themes and widgets in the market. This app simply gives you the freedom to limitlessly tinker with your phone! Perhaps one of the most popular launchers in the market right now, Go Launcher is the app for people who want to customize even the most basic gestures in their screens, windows and lock screens. This is the Android standard when it comes to launchers. Fortunately, it's no slouch in terms of performance and practicality. Instant access to Google Now, hands-free voice controls and beautiful window-bars makes this the ideal app for the ever-busy young professional demographic.